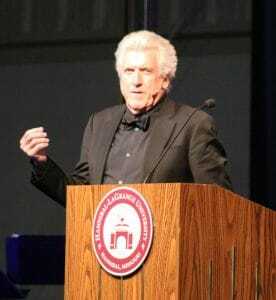 HANNIBAL – Luke Zamperini, son of Olympic hero and World War II prisoner of war Louis Zamperini, and now an executive producer of the recent movie about his father’s path to Christ, held the audience’s attention in the palm of his hand here Nov. 7 at the Hannibal-LaGrange University Booster Banquet. The younger Zamperini discussed in detail his father’s remarkable and miraculous life. Louis was saved from a life of juvenile delinquency by sports, and made his way on to the 1936 U.S. Olympic team. While in Berlin for those games, Louis met Adolf Hitler, just a few years before he joined the Air Force to fight Hitler and the Axis powers in World War II. While on a search and rescue mission over the Pacific, his plane suffered an engine failure and crashed into the sea. He and the two other surviving crewmen scrambled into a life raft and drifted for 47 days – battling the merciless sun, starvation, and sharks, and drinking only what they could collect from the rain. 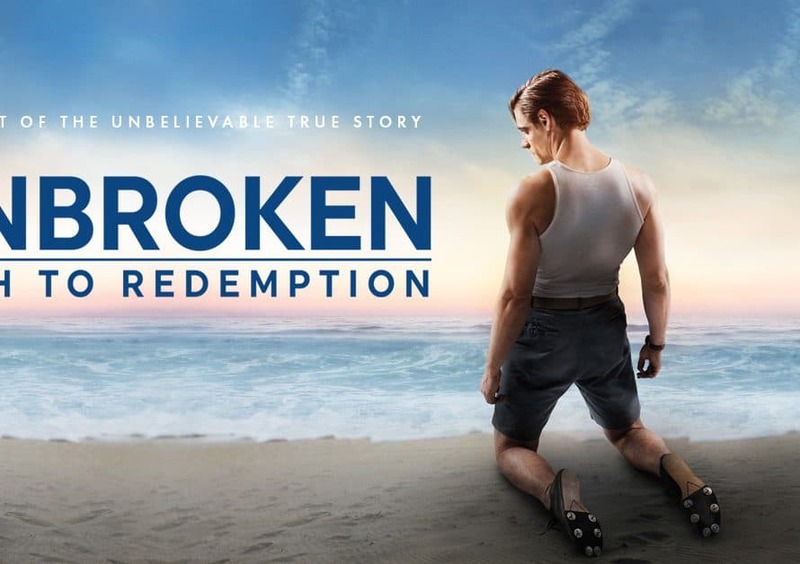 Telling that missing element of the film – that “capstone miracle” that made him whole – was obviously a passion for the younger Zamperini, and he discussed his role as an executive producer of the film, “Unbroken: Path to Redemption” which was released this September. He along with Will Graham – the grandson of Billy Graham and the actor who portrays the evangelist in the movie – also got to be involved in the promotion of the movie, speaking to more than 100 newspapers, television and radio stations telling them about the movie and the way that Jesus radically saved his father. The Pathway review also praised the climatic scenes at the Billy Graham crusade for its forthrightness: “Most movies depicting a sermon go out of their way to be as generic and nondenominational as possible so Christians of any stripe can relate; Graham’s sermon is recreated here word for word, so it rings much truer to this Southern Baptist’s ear. Kudos to whoever made that decision to stick with reality.” As it turns out, viewers have Zamperini to thank for that.